The following is a list of predictions by the BAINISTEOIR rating system, giving the odds of each team winning, losing or drawing their upcoming championship match. 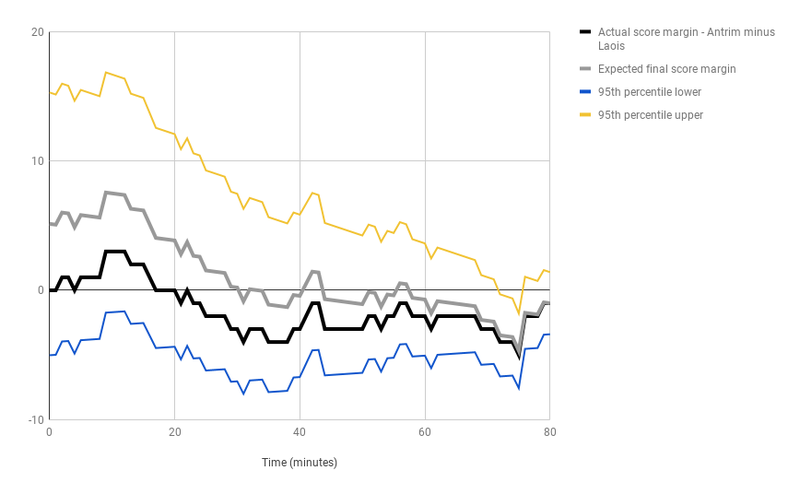 For the All-Ireland tier teams (those playing in Leinster, Munster or the Joe McDonagh groups), the odds for each potential margin of victory are given. Each team’s odds of winning Leinster, Munster, the Joe McDonagh cup and the All-Ireland itself are provided, as well as how far into the All-Ireland knockout stages each team is expected to go. 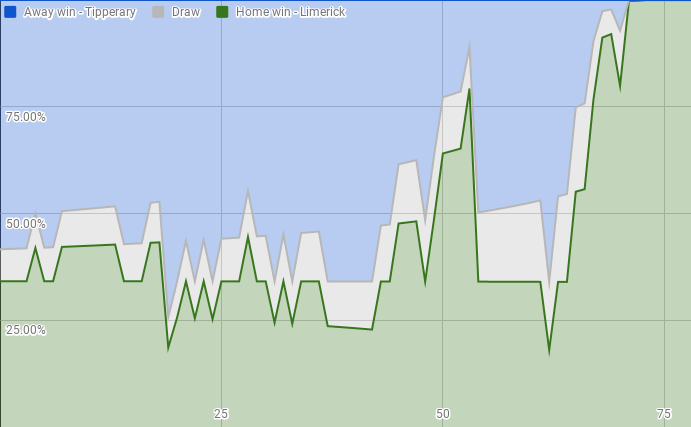 Below this, the results of the previous rounds' matches are given, as well the minute by minute odds BAINISTEOIR provided for the All-Ireland tier matches as they progressed. 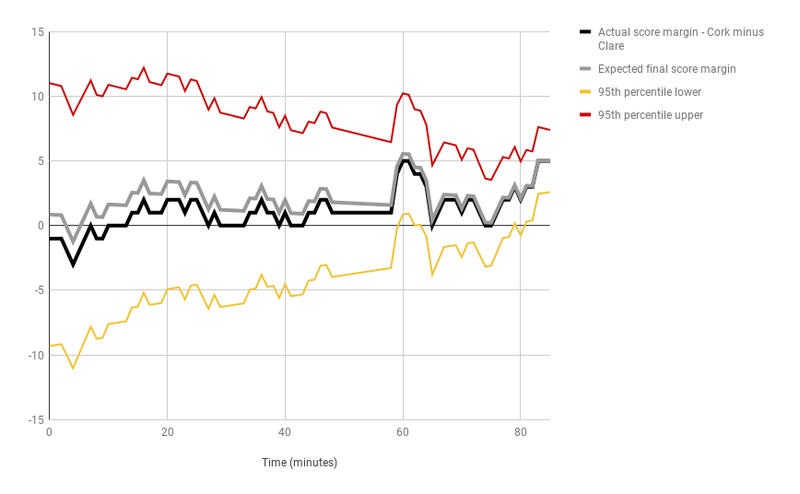 The charts below display how the BAINISTEOIR rating system reevaluated the odds of each All-Ireland tier match as it progressed. 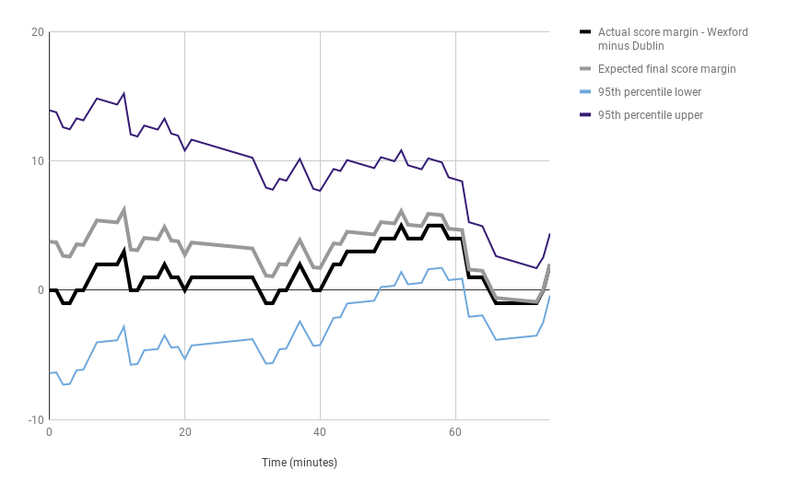 The x-axis displays the minutes elapsed in the match, and the y-axis displays the calculated odds of each team winning, losing or drawing from that point in time. 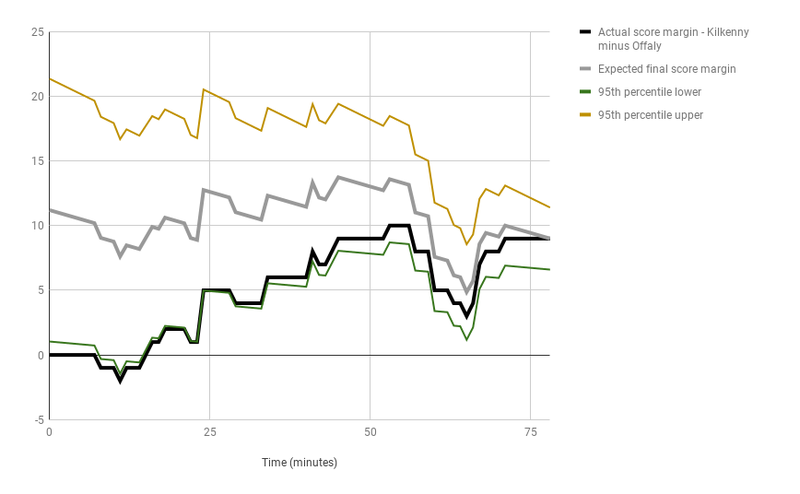 There are also charts for these games comparing the actual score margin versus BAINISTEOIR's expected final score margin, against the time elapsed in the match. Below these charts, the final results for the previous round of the lower tier championships, if any, are given.